…about the invincibility of L.B.J. Frankly, I do not believe this nation can survive a continuation of this aimlessness for another 4 years. I realize this makes me a crier of doom but these are days unlike any we've known and the world faces a time of decision that will determine man's destiny for generations to come. 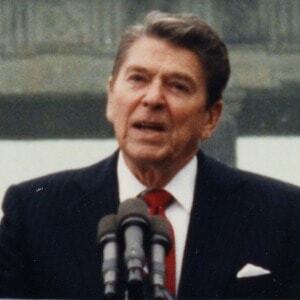 Aspirations or no, one year later, at the Republican convention in Miami, Reagan declared himself a candidate for the president of the United States. Autograph Letter Signed (“Ron”), as Governor, 1 page, oblong quarto, no place, no date [August 4, 1967]. To Phil Berg in Bel-Air [Los Angeles], California. Being a draft to be typewritten.